Welcome, we’re Brown Professional Group, Inc., a financial services, tax and accounting firm in Huntsville, Alabama. 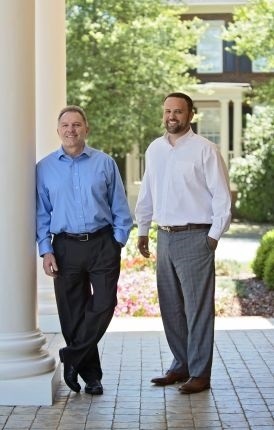 Billy Brown, a CPA and Certified Financial Planner® practitioner, and Blake Brown, a Certified Financial Planner® practitioner, have over 35 years of experience in comprehensive financial planning*. We are passionate about helping our clients with their financial affairs. Here are a few of the services we provide: managing retirement and other investment accounts, preparing tax returns, retirement planning, recommending and setting up college saving accounts, life and long-term care insurance, answering day-to-day questions regarding managing debt, buying a home, etc. We want to make ourselves accessible when you need us and save you time and add value by helping you increase your net worth over time. We offer a complimentary meeting for those interested in becoming a client. This initial meeting is just to find out more about each other and whether our services fit your needs. *These services are offered by Billy Brown and Blake Brown through their affiliation with HD Vest Investment ServicesSM and HD Vest Advisory ServicesSM.